The BestPack? AQ series are operator-free, carton-sealing machines designed to meet the needs of uniform in-line carton closure applications. The units are four belt driven (two side belts and two top belts), driven by three electric 110V UL approved motors. The four belts allow for more stability and the sealing of more rugged applications. 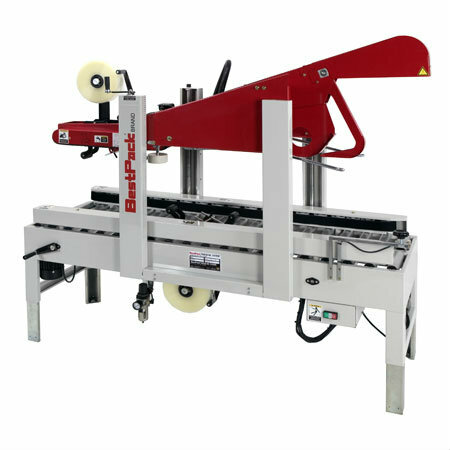 The AQ series carton sealers are designed with a four column support structure. These units use 45-60 PSI and 4-5 CFM of air. Adjustable Bed Height from 19.5" - 30.75"